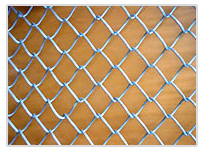 Vividh Perforators provides galvanized diamond wire mesh or PVC coated diamond wire mesh, mainly for fencing use. - We provide galvanized diamond wire mesh or PVC coated diamond wire mesh, mainly for fencing use in low carbon steel wire, stainless steel wire, aluminum alloy wire in specification as required by our clients. Owing to our proficiency in this domain, we are providing our clients an optimum range of Aluminium Wire Mesh (Diamond Wire Mesh) . We are manufacturer and supplier of Chain Links & Wire Mesh for Agricultural Industry. We offer these Chain Links & Wire Mesh for Agricultural Industry at reasonable rates. These are easily available in market. and sizes depending on the application e.g. general perimeter fence or security. We are offering Diamond Floor Mesh to our client. We are one of the leading organizations actively involved in offering a broad gamut of Chain Link Wire Mesh to our respected clients. Counted as one of the sincere market names, we are voluntarily affianced in offering to our patrons, Chain Link Wire Mesh. Owing to rich industrial experience, we are involved in presenting huge array of Stainless Steel Diamond Wire Mesh. 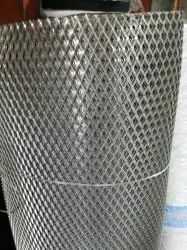 This Stainless Steel Diamond Wire Mesh is frequently used as fencing for sports field, river banks, residence and in many other applications. Our products are available in market in bulk at reasonable prices.